Here is Don Jr. in an appearance on The Ingraham Angle (okay! ), saying some words about Covington Catholic High School and that now-contested Buzzfeed story that I never want to think about again. No matter: I can’t hear a word he is saying because I am distracted by the approximately 478 hairs that have collected on his chin and neck region. What am I looking at here, and why? The look is very Wooly Willy, that bald-faced child’s toy with the magnets and the metal filings. Why have a magnet beard? 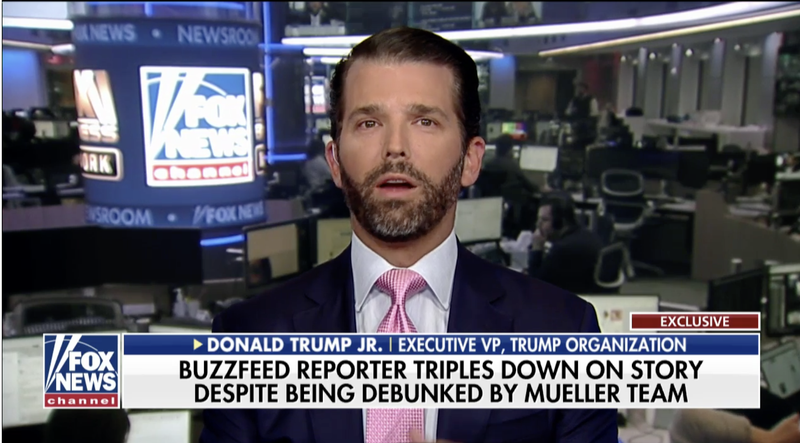 Maybe Don Jr. is sad that he has no chin and would like to craft the appearance of such via a beard so tight and precise in its borders that I would not be surprised if it were Sharpie’d on. And yet it is real. I wish it ill. Goodbye.